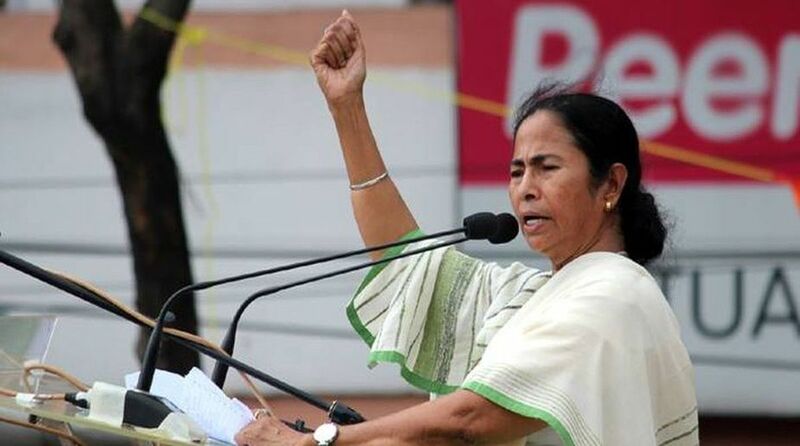 West Bengal Chief Minister Mamata Banerjee has accused the Centre of “ruining” the country’s economy and said political steadiness cannot be achieved without economic stability. She also lashed out at the Rashtriya Swayamsevak Sangh (RSS) Friday, claiming it was behaving “more like a political party” in the state. “The entire Indian economy is in a dangerous condition. It has to change to save our country. If there is no economic stability, there can’t be any political stability. This government should go,” Banerjee told reporters at a press conference here. Banerjee said many like-minded and prominent leaders from across the country have evinced interest in participating in her ‘Federal Front’ rally in Kolkata on January 19 next year to oust the BJP from the Centre. “Several top leaders have confirmed that they will attend the rally. We are inviting everybody (opposition parties). We will also invite CPI (M), RSP and Forward Bloc. In the next election, the BJP will be defeated. We’ll appeal to everybody that the BJP should not win a single seat in Bengal,” she said. Commenting on the recent legal notice by the RSS to senior TMC leader Partha Chatterjee, the TMC supremo said she was not at all “bothered” about it and suggested that the RSS declare itself a political outfit. “The RSS should declare itself a political outfit. I used to think that the RSS is a social organisation, but nowadays it is behaving like a political party,” she said. “Whenever elections approach, they (RSS) become active to save the BJP. Let them do that. We are not afraid of them as we have the support of the masses,” she said. Meanwhile, reacting to Banerjee’s allegation of the BJP trying to create disturbances in the state, BJP state president Dilip Ghosh termed it “baseless” and a “desperate attempt to divert attention” from the “failure” of the state government. Flaying the West Bengal government for “not doing enough” to contain fuel prices, he said, the central government has decreased fuel prices by Rs 2.50 per litre and many BJP-ruled states have also decreased prices by Rs 2.50 a litre, but the West Bengal government has decreased prices by only Re one a litre.